There were 2 things we wanted to do before we left for our ultimate family Christmas in Lapland. 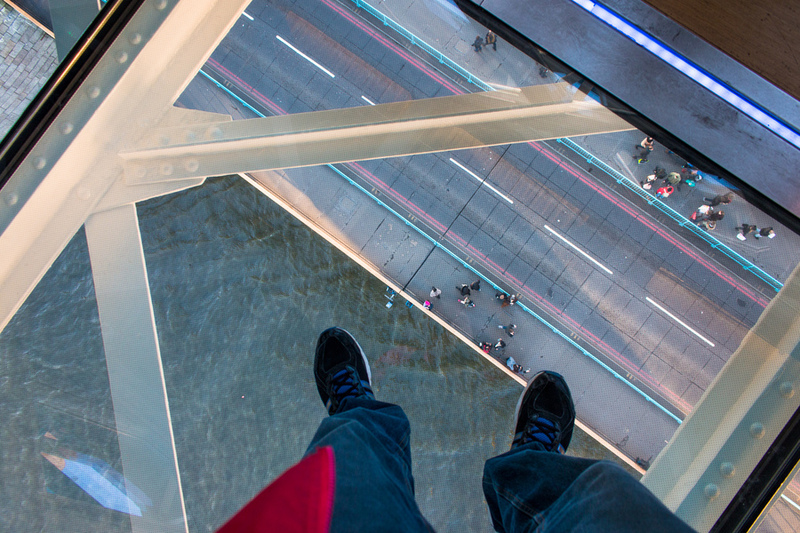 We’d picked up the London Pass and found that it included a walk on the new glass-floored overpass of Tower Bridge. And since we were in the neighbourhood we figured we should couple it with a visit to the Tower of London. 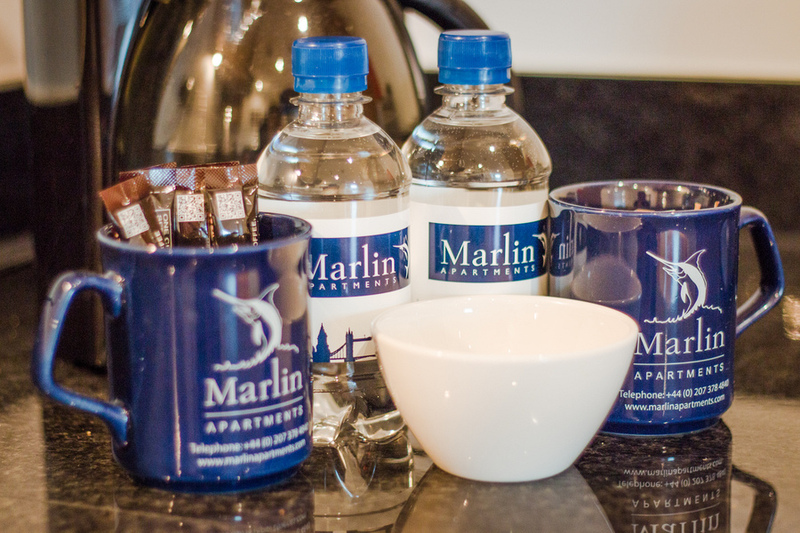 How were we to top our favourite hotel stays in Mayfair or the impeccable service we received at the Athenaeum? 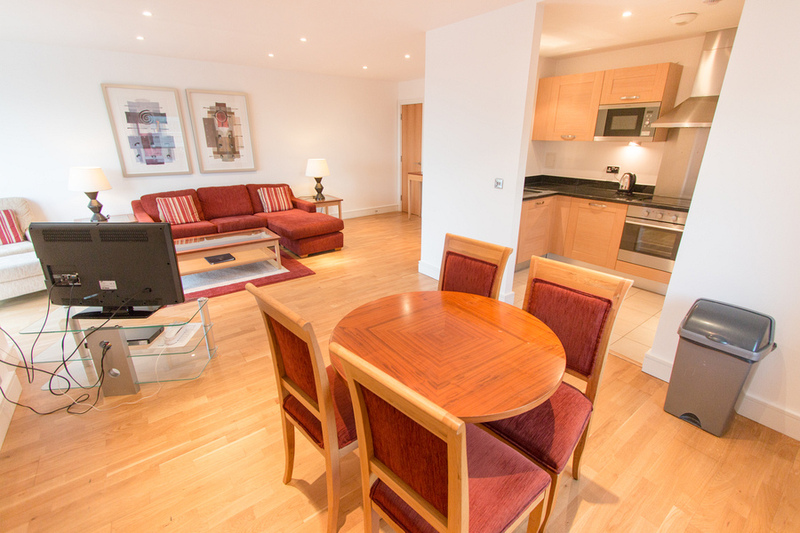 What about the central location of our last apartment, around the corner from St Paul’s Cathedral? 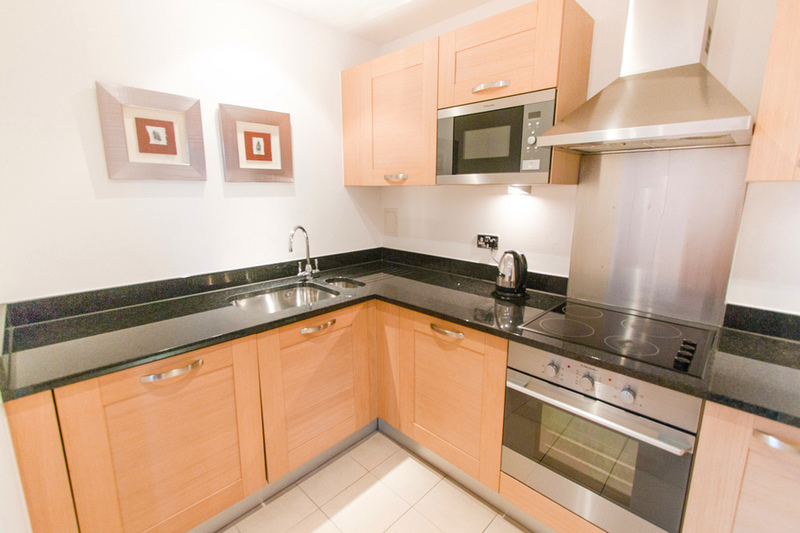 Well thanks to Aldgate Apartments we did. 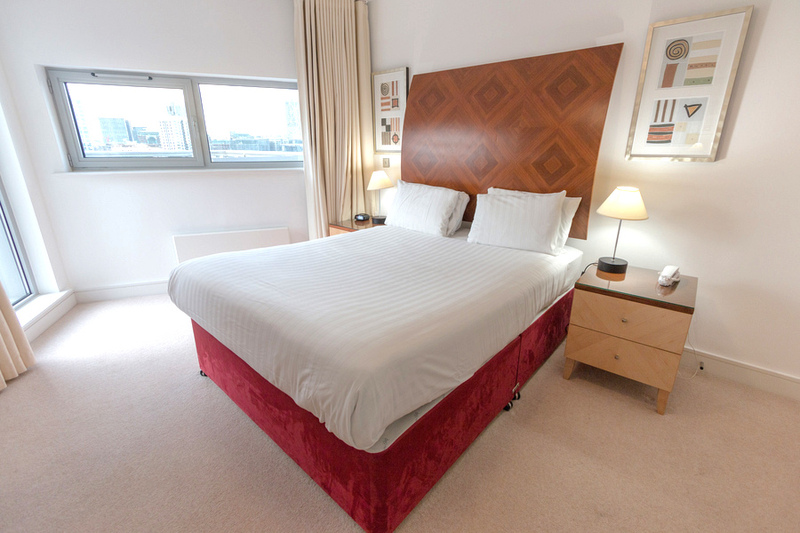 We booked this serviced apartment on Central London Apartments and its location was simply superb; only eclipsed by the phenomenal panoramic cityscape views. 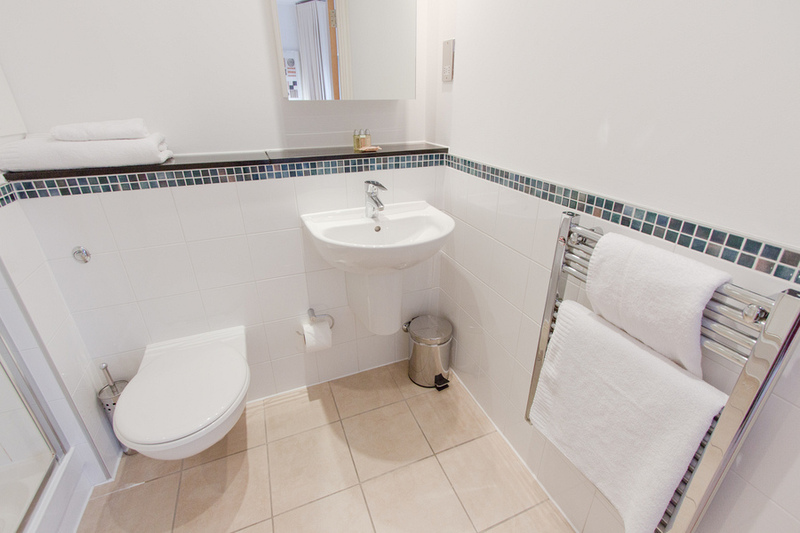 It was the perfect base to reach the Tower of London with ease, as well as explore further afield. Since we were arriving fresh off the back of our epic Wales road trip, we dropped off all our bags at the apartment before returning the rental car. BEWARE: When driving through central London a congestion charge is automatically billed to you (or rental car company), and it needs to be paid the same day. The longer you leave it, the more you pay. The stupid tourists that we were, paid a pretty hefty fine for an unpaid congestion charge (that we only found out about after returning the rental car). Learn from our mistakes! Anyway, we were given keys to our new home away from home on the 13th floor and as soon as we walked in our attention was immediately drawn to the mesmerising views outside the large, wood-framed windows in the lounge room. Come night it was even more beautiful. Want to see inside? Check out our virtual walk-through and while you’re at it, subscribe to our YouTube channel so you can see all our latest videos. Like I said the location was perfect. 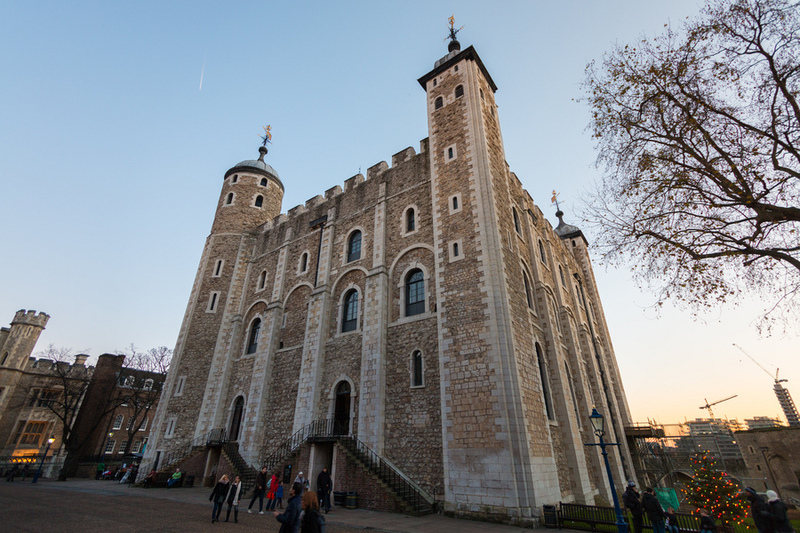 It was right by Aldergate East tube station, but the Tower of London was only a 10-minute walk away. So we decided to save on the hefty tube cost and take a casual stroll towards the Thames River. 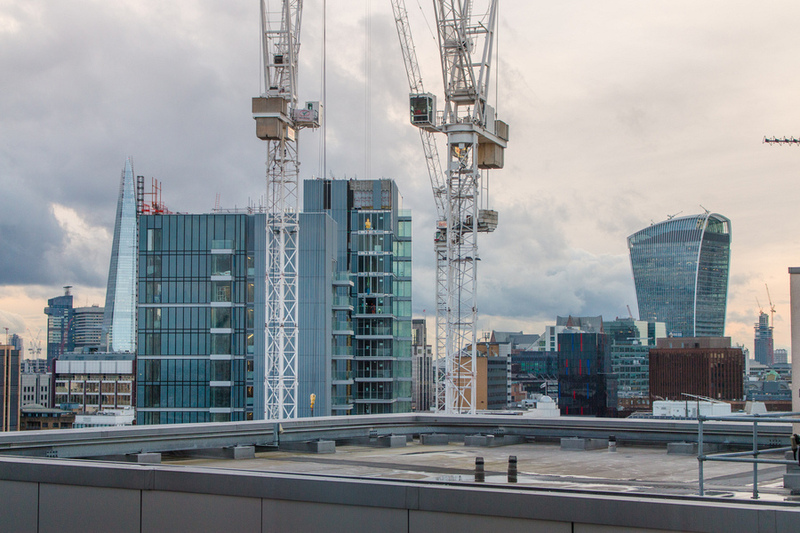 If you have limited time and plan on seeing London in a hurry, then this pass is a must. 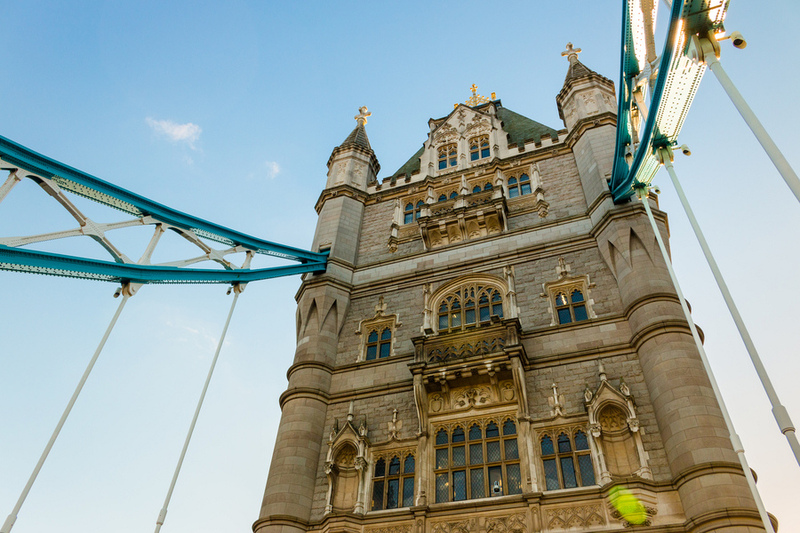 Not only do you gain entry to over 60 London attractions with 1 single card, but it also gives you a “fast pass” to several of the more popular ones. We used our pass to check out Westminster Abbey, which we had always seen from the outside, but never ventured in. 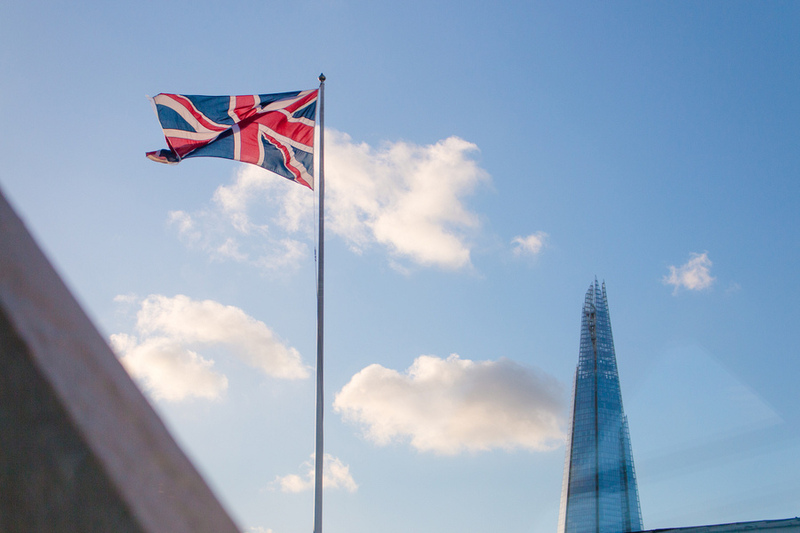 We also were able to use it on the Tower Bridge and Tower of London. 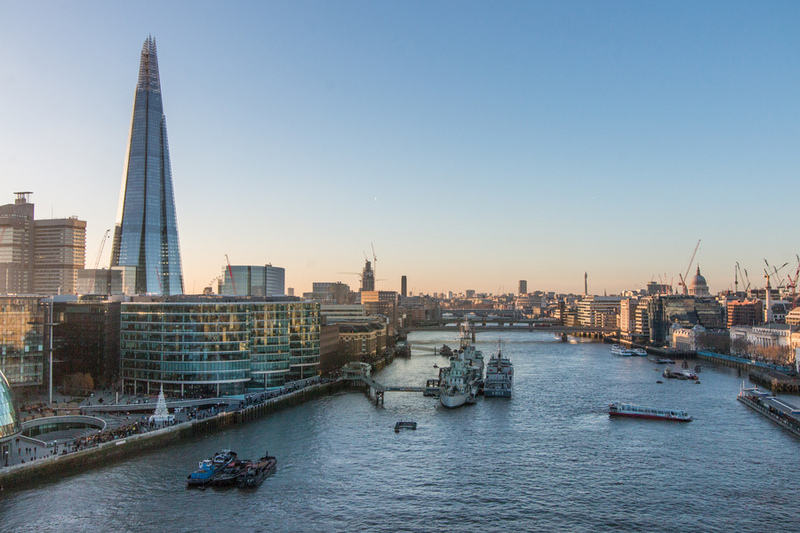 Tower Bridge was built 120 years ago to help ease the daily traffic congestion headaches on London Bridge. The unique design allowed passing ships to reach docks further up the Thames River by raising the road using cutting edge hydraulic technology. An engineering marvel of it’s time that is by far one of the most famous and also insanely gorgeous man-made structures in the world. And now decades later the Tower Bridge has added something even more marvellous. 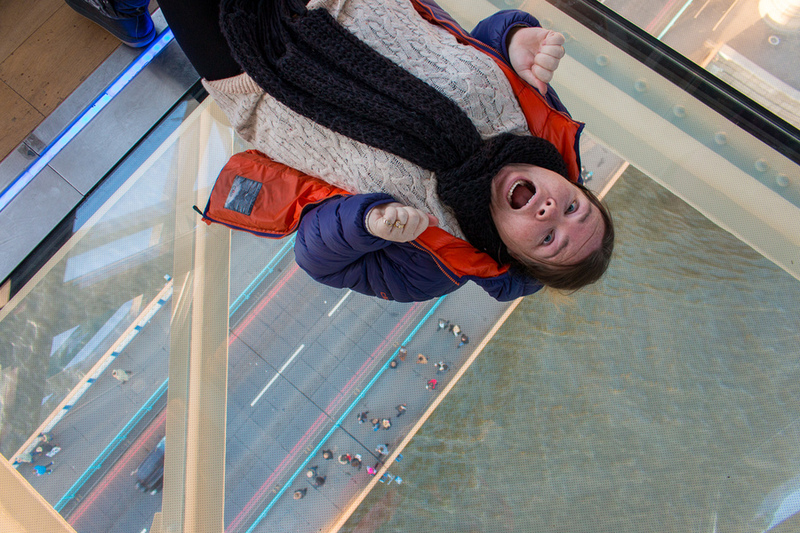 In 2012 we had ventured out onto the glass floor Skywalk at the Grand Canyon and we were ready to do it here on the other side of the pond, 42 metres above the River Thames. The exhibition was well designed. 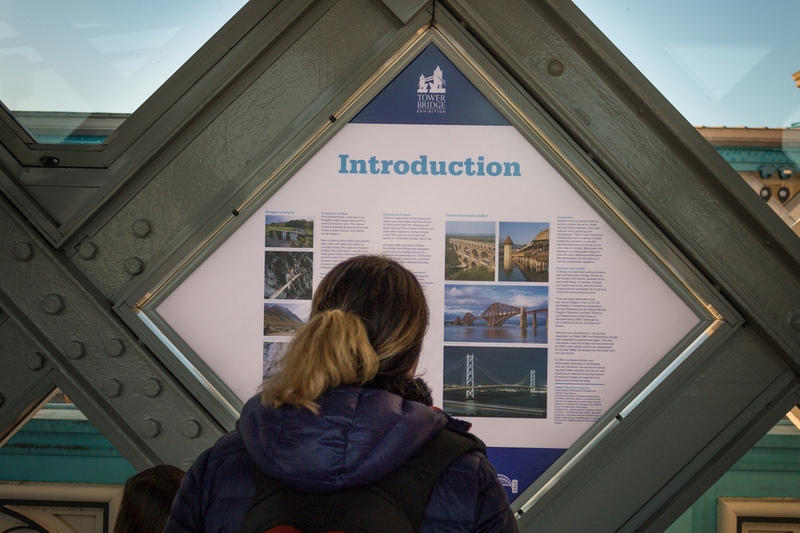 We ascended one tower via a lift and watched a short video on the construction process behind the bridge, and read fascinating details on other bridges around the world…. and then all of a sudden there it was. London’s iconic bright red double decker buses zooming over the Bridge. But this time from a very different angle - clearly visible through the glass flooring of the bridge overpass. The glass floor measures 11 metres long and 1.8 metres wide and comprises of panels weighing 530 kilograms each. Yeah, it’s scary! But the kids were fascinated with the traffic zipping by and the people scurrying around like ants. Completely oblivious to the faces watching them from above, hard-pressed against glass in open-mouthed wonder. With slight apprehension, Josh and I edged our way on the glass. But it wasn’t long before the kids decided it was a good idea to test to the load-bearing limit and had a good ol’ bounce on it. Another nice touch is the “passport” that is given to each child upon entry. They are invited to collect stickers to place into their passport at 4 different locations around the exhibition. 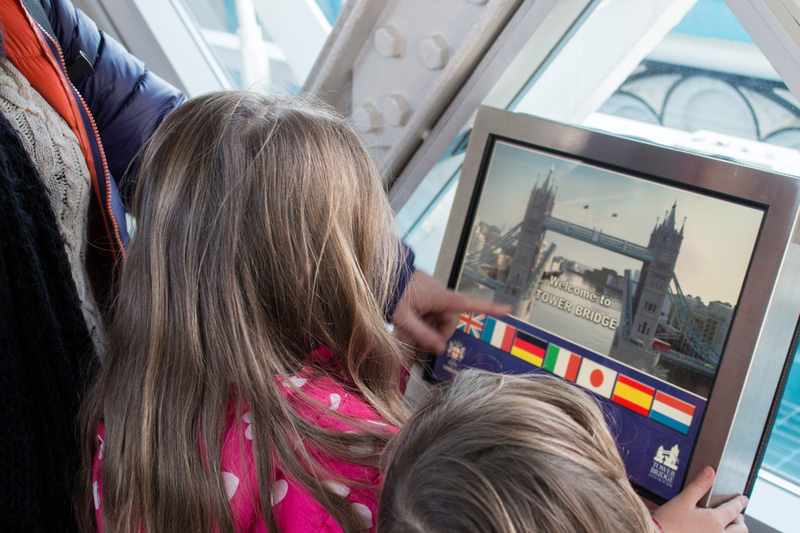 A fun way for kids to learn a bit more about Tower Bridge. 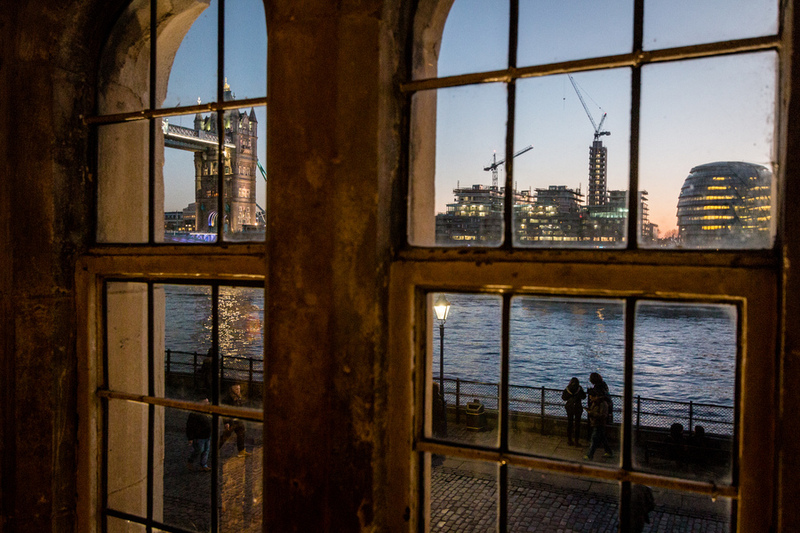 This is undoubtedly a must-see exhibition with a unique view of the unmistakable bridge and its unparalleled vistas of one of the world’s greatest cities. I first visited the Tower back in 2001. 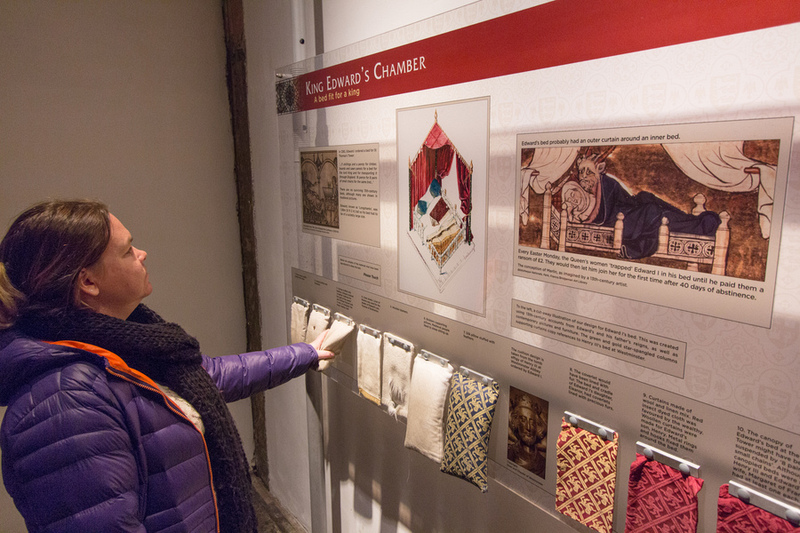 I was fascinated by it’s long, entwined history and so when I found that our London Pass included free entry I was determined to take the family. After a quick snack from the nearby Tesco we departed the bridge and raced over to the Tower. There was no queue. Since the wrap-up of the Poppy Exhibition several weeks prior, things had quietened down and we were given admittance instantly. 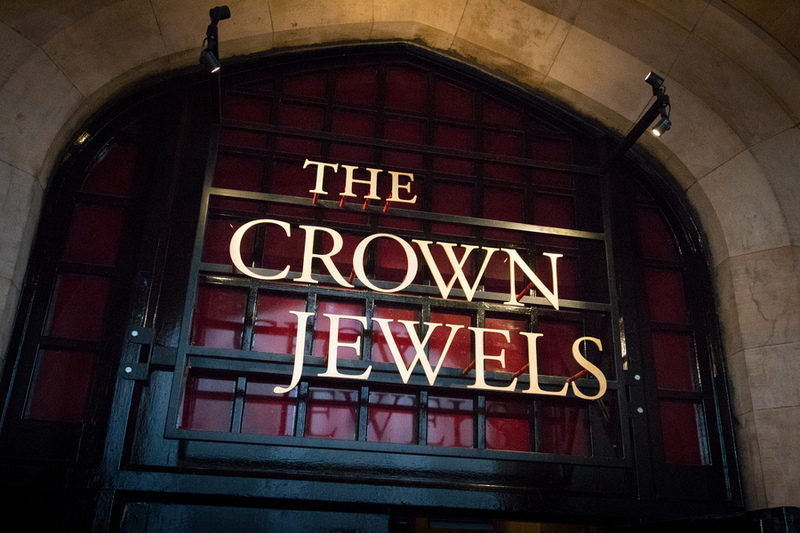 It was near closing time and we had limited time, so our number one thing to see was the Crown Jewels. 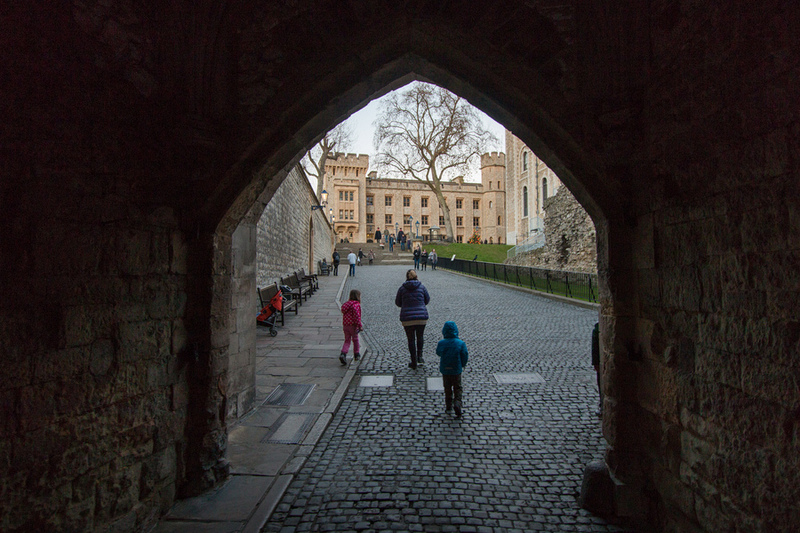 The Tower of London is a historic castle on the River Thames. 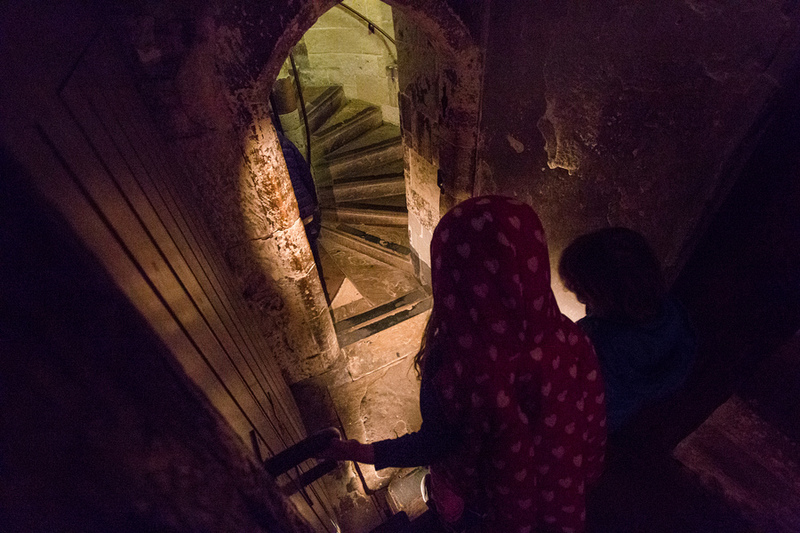 It was founded in 1066 as a royal residence, but by 1100 its primary use was as a prison and it stayed this way right up until 1952! 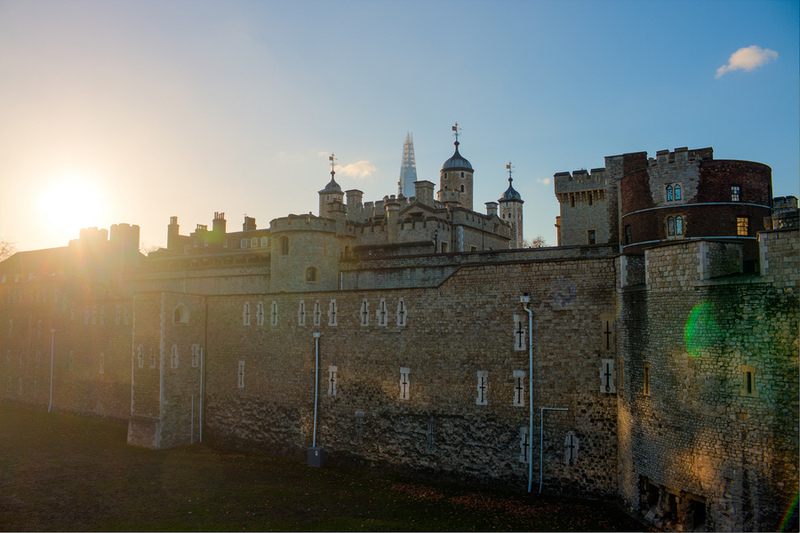 It now stands as a protected World Heritage Site and is still home to the royal Crown Jewels. 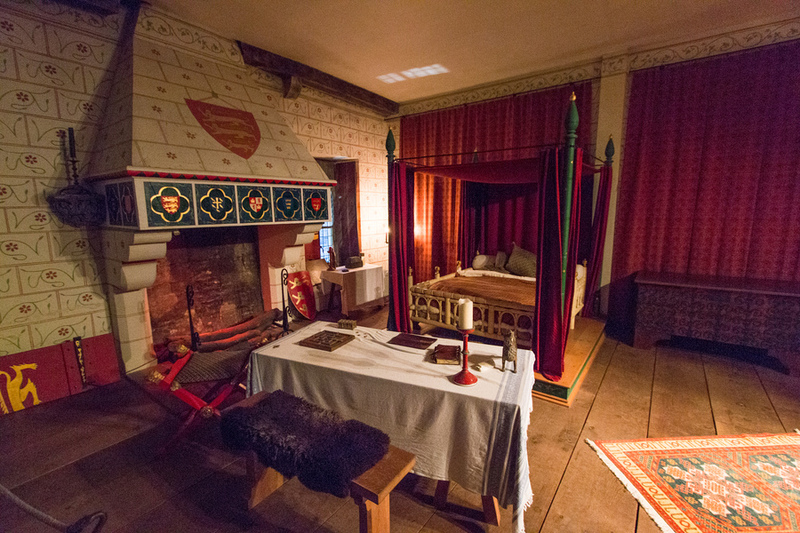 The room holding the Crown Jewels drips with excessive affluence and unimaginable riches. A moving travelator took us past the 800-year-old Coronation Spoon, the enormous 530.2 carat Cullinan diamond in the Sovereign’s Sceptre with Cross, St Edward’s Crown, the Imperial State Crown, the Crown of Queen Elizabeth the Queen Mother, and so much more. The kids found it terribly boring so after one look we decided to go climb some towers and check out the rest of the fortress. That was much more fun for them. 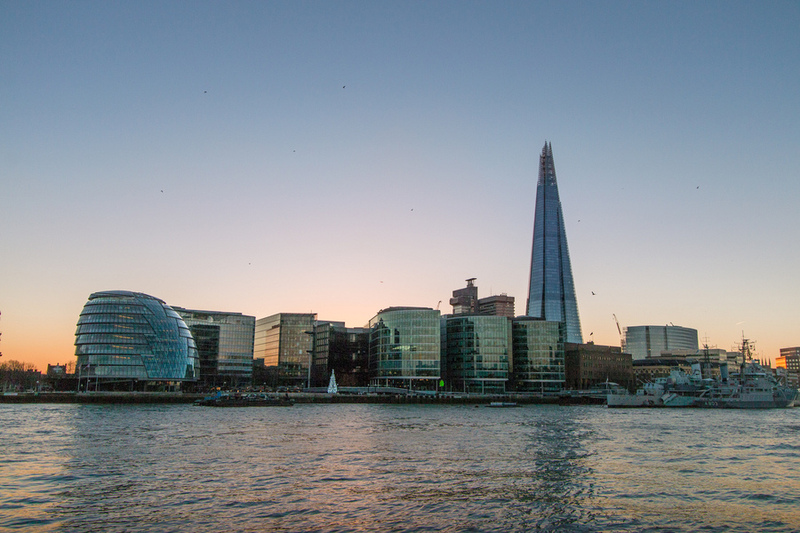 It also provided stunning views of the setting sun and London’s ever-changing city skyline. On our way back to the apartment we stopped at a Tesco Express. Filled with Christmas cheer, they were handing out free pastries, which made a delicious dinner for all of us. From the lounge room in our apartment we watched the night come alive. The large window was actually in a box that protruded from the building. Almost as scary as the glass floor on Tower Bridge. In a way it almost felt like my own modern little tower in the historic centre of London. And as I closed my eyes on a wonderful Towery day, I almost felt like a princess asleep in her castle. Ah London has a special place in my heart!! Always love your posts Erin!